Aimee Hospodarsky (President) is an elementary school counselor in Monticello Iowa. She also has experience in school counseling at the middle school level, both in a rural area and in a large district. Prior to her role on the Executive Committee on ISCA, she served as Elementary Vice-President. Aimee is an enthusiastic supporter of school counselors, and considers her time on the ISCA board as one of her most rewarding experiences as well as a catalyst for professional growth. Aimee has two children and lives in Monticello with her husband, who is also in education. Sheryl Cline (President-Elect) is a 9-10 School Counselor at Linn-Mar High School in Marion, Iowa. She has been a school counselor for 7 years, starting as a K-12 counselor before moving to the high school level. Sheryl is a graduate of the University of Iowa (MA-School Counseling) and Mt. Mercy College (BA-Psychology). She is passionate about college and career readiness, especially ways to introduce students to careers requiring less than a 4-year degree. Sheryl is the ICAP lead in her district, serves as an advisory committee member of the Marion Economic Development Corporation's Community Promise Initiative, and is working with the 5 other counselors to RAMP at LMHS. She believes that school counselors play a key role in advocating for school counseling at all levels, which happens day-to-day in the work we do in our buildings and in collaborating with all stakeholders. In her free time, Sheryl enjoys spending time with her Brittany (Bear), running, reading, and doing yoga. Cory Graven (President Elect-Elect) is currently in his 4th year as a middle school counselor with Center Point-Urbana Schools in Center Point, Iowa. Cory has been involved in education as a teacher and school counselor for ten years. Prior to his current role as President Elect-Elect, Cory began his ISCA Board experience as Secretary – from 2014-2017. Along with working on the role in this capacity, he has enjoyed working with fellow school counselors as an active member of both the ISCA conference and advocacy committees. Cory values the ability for school counselors around the state to be able to connect and learn from each other – sharing their diverse experiences and unique elements of their own school counseling programs – so that the profession can continue to grow and make a difference in the lives of students. He currently resides in Urbana, Iowa with his wife Kim and two kids. When away from the daily excitement of working with middle school kids, Cory spends time traveling, camping, bike riding, reading, cheering on the Red Sox, and playing with his son and daughter. Brandon Drew MSW (Elementary School Vice President) is currently the 3rd through 6th grade Counselor at West Elementary in Independence CSD. He has three degrees; his first from UNI a B.A. in Social Studies Teaching, second from Aurora University with a Masters of Social Work, and most recently a Masters in School Counseling from Buena Vista University. Brandon is supported by his wife, April, and their second grade daughter, Isabel. In his spare he enjoys running and travel. Amber Urbain (Vice President - Middle Level) received her undergraduate degree in Psychology from the University of Northern Iowa and her Master’s in School Counseling from the University of Iowa. She is currently an 8th grade counselor in Cedar Rapids, Iowa at College Community Schools where she works side by side with her therapy dog, Addie. Prior to school counseling Amber was a social worker in the Cedar Rapids area for six years. Amber is proud to be part of such a dedicated and passionate group of professionals! ISCA is here to help school counselors advocate for their counseling programs, network with other professionals and provide innovative opportunities for professional development, among many other things. When not at school, Amber is usually spending time with her husband, son and two dogs - the family love sboating, spending time outside and watching sports…Go Cubs! Meri Edel (Secondary Level VP) is a school counselor in at Marshalltown High School, as well as a proud graduate of MHS Class of '87! She has been at MHS for ten yeas, and prior to that was a Middle School Counselor at East Marshall Middle School for 12 years. Prior to entering the school counseling field, Meri was a high school Spanish teacher in Mason City, Iowa. Meri is passionate about working with students to help them achieve their goals in life. She has a special place in her heart and deep interest in mental health issues and strives to keep them at the forefront at all times. Outside of school, Meri enjoys spending time with family, including her husband and 2 adult children. Her hobbies include traveling, reading, and seeing as much live theater as possible. Shelby Bryce (K-12 Vice President) is currently working at the K-12 School Counselor at Lone Tree Community School in Lone Tree, IA. Shelby attended the University of Iowa for both undergraduate (Elementary Education/K-12 Special Education), and for her graduate work to earn a Master’s in School Counseling. Her desire to encourage students and commit to their success alongside them has been her guiding light. She believes all students are one patient adult away from overcoming their obstacles in life. She currently teaches K-5 elementary guidance, 8th grade guidance and careers, and a high school College/Career Prep course. She also heads a Mentor program for middle school students, organizes multiple service-based learning events for high school students, and has developed a comprehensive, K-12, standard based curriculum. Helping all students is her passion. Shelby was announced the 2017 Multi-Level Iowa School Counselor of the Year at the 2018 ISCA conference. She is also the proud mommy to two wonderful boys and enjoys spending time with her husband going to shows at Hancher Auditorium, traveling, and watching the Hawkeyes, Cubs, and Bears! Renea Ogren (VIce President - Counselor Educator) received her Master's in Educational Psychology and Counseling from University of South Dakota, and worked as a school counselor for 28 years, serving 11 years at Remsen-Union CSD and 17 years at MMC CSD. Since the mid 1990's she has served as a PSC adjunct instructor for Buena Vista University, Morningside College, and Wayne State. After retiring from MMC, she has continued as a full-time counselor instruction at Buena Vista University teaching skills, orientation, ethics, human development, leadership and advocacy, and practicum and capstone projects. She has maintained membership in ASCA, ISCA, and IAACC, receiving Counselor of the Year for IAACC twice and 2017 Adjunct Instructor of the Year for Buena Vista University. 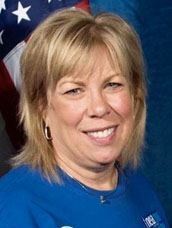 She has presented at the ISCA Conference several times and served as Government Chair for several years and is a member of the UNI Counselor Advisory Board. 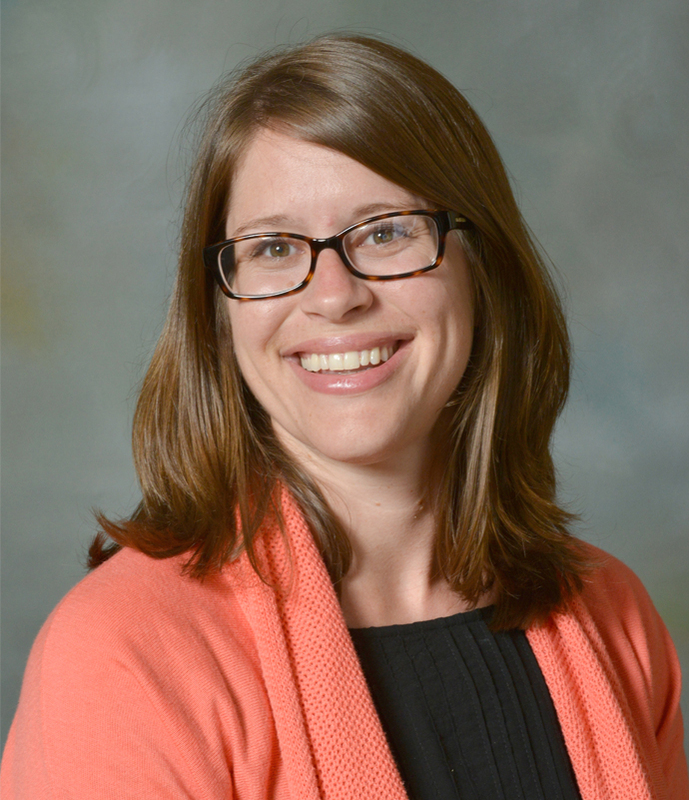 Amy Abler (Vice President - Counselor Director/Coordinator) is currently a School Culture, Climate, and Community Coordinator with Des Moines Public Schools and serves as a Restorative Practices trainer, a Check and Connect trainer, and a SAMI facilitator within the district. As a professional school counselor, Amy has served in both rural and urban schools and was most recently the Counseling Specialist for Des Moines Public Schools. Prior to becoming a school counselor she was a 7 - 12 language arts teacher. She has an English degree from the University of Northern Iowa, a secondary teaching degree from the University of Iowa, and a master’s in Counseling from Drake University. Presently, she is pursuing a Specialist degree in Educational Leadership at Drake University. In her free time, Amy enjoys spending time with family and friends, reading, traveling, and playing golf. 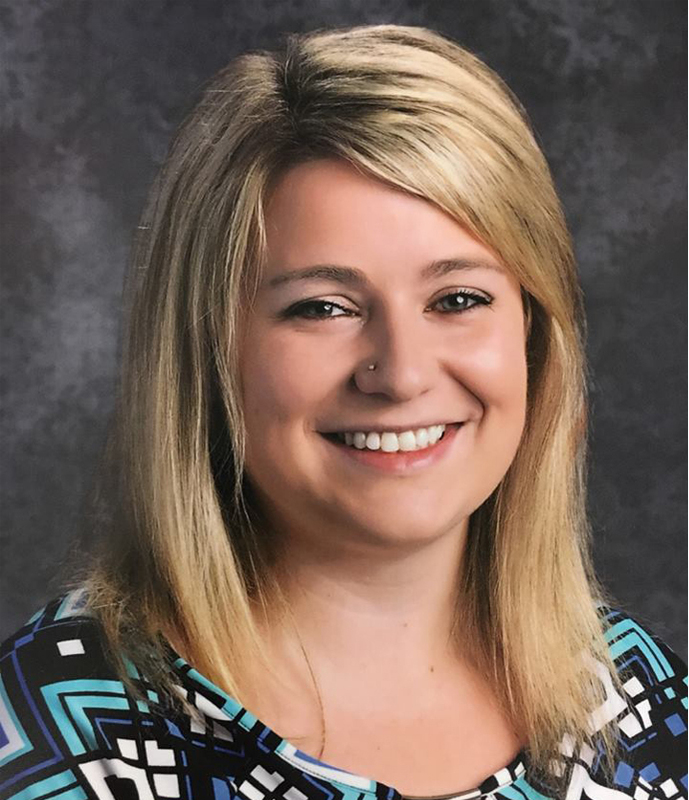 Jaclyn Lussenhop (Secretary) is a school counselor at Prairie Creek in the College Community School District, and has previously worked as a counselor at Springville Elementary and Davis Elementary. She graduated from the University of Northern Iowa with an undergrad in psychology and a masters in school counseling. Jaclyn is very passionate about the field of school counseling and enjoys helping other school counselors with their school counseling programs and empowering them to be advocates by the use of data in school counseling. Natalie Wilson (Treasurer) is currently an upper elementary counselor at Gilbert Intermediate School. 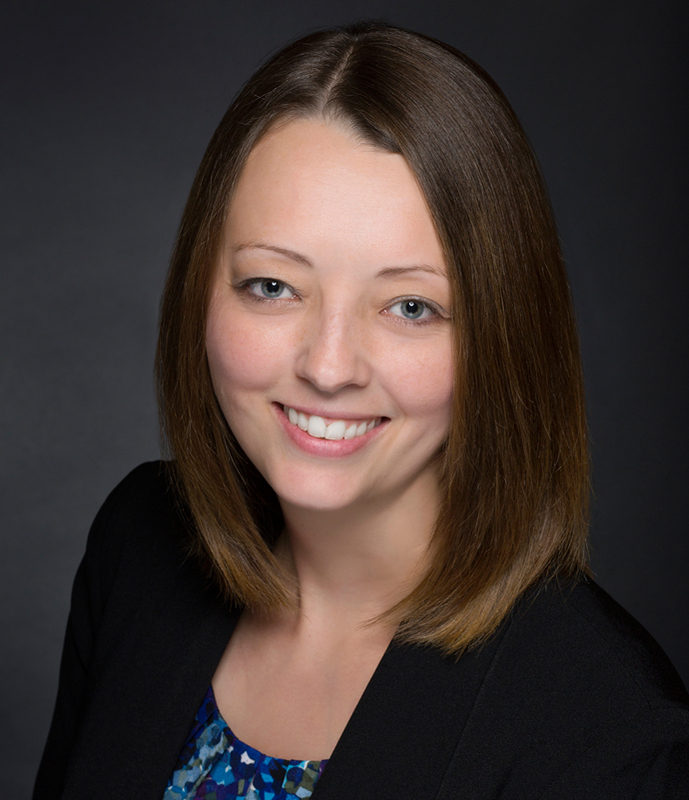 Natalie began her role with ISCA two years ago upon graduating from Buena Vista University and gaining her first position in the school counseling field. She was first introduced to ISCA while in graduate school where she volunteered on the Awards & Recognition Committee. Prior to coming to education, she worked in the journalism and communication field for 12 years. She considers herself fortunate to live in a state where she had access to a high quality masters program that allowed her to not only go to school while working and raising a family, but also prepared her to get a position upon graduation. Her time on ISCA has been rewarding to learn from other counselors who have invaluable experience that has made the profession what it is today. This opportunity allows her to give back and continue to grow a profession she cares about deeply. She is passionate about advocating for her students, building on her leadership skills, and helping other counselors grow professionally. She has presented at the state’s annual conference and is a member of ASCA. She enjoys crafting and spending time with her husband, Adam, and their two children, Jasper and Avery. Melissa Murphy (Advocacy Chair) is the school counselor at Springville Secondary School, where she serves approximately 200 students in seventh through twelfth grades. She is fortunate to work with students, families, faculty, and staff who value the work of school counselors and what they do to support students. Melissa has earned her M.A. in school counseling from The University of Iowa, an M.A. in English from Western Illinois University, and a B.A. in Sociology from Iowa Wesleyan College. Prior to becoming a school counselor, she taught English/language arts to middle and high school students. Melissa shares a home with her husband, son, and critters in rural North Liberty. Being on the cusp on an empty nest allows more time to for Melissa to pursue her own interests: bicycling, canoeing, tromping through the woods with the dog when weather allows, and reading, completing crossword puzzles, and cooking when it doesn’t. Sandy Thomson (Membership Chair) is a PK-2 Elementary School Counselor in the Charles City School District. Sandy obtained a M.Ed. with a Specialization in K-12 School Counseling from Iowa State University. 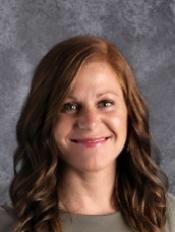 During her time in Charles City she has served on various leadership teams including the district's trauma informed committee and her building’s PBIS team, on which she serves as an internal coach, and is a Nurtured Hearth Approach Advanced Trainer. I am blessed to be working in such a great position with wonderful staff and students. I am passionate about my students, their families, and cultivating student success. I appreciate the opportunity to pour into my students lives daily and enjoy the opportunity to pour into Iowa's School Counselors as part of the ISCA board. Sandy enjoys the opportunity to work with school counselors advocating for the profession and the importance of Iowa's School Counseling State Association. "I believe our profession is of utmost importance to the development of the whole child. I am a strong advocate for the impact quality comprehensive school counseling programs impact student success." In addition to her profession, the love of her life is her family, as she is a mom to two beautiful girls. Sandy and her husband enjoy professional football and long rides on the motorcycle. In her spare time, she enjoys running. A fun fact: Sandy was a member of a Women’s Flat Track Roller Derby team in North Iowa. Troy Bergmann (Awards and Recognition Chair) looks forward to highlighting the accomplishments of school counselors and the many wonderful things throughout the State of Iowa. Upon completing his undergraduate degree at the University of Northern Iowa, Troy moved to Arizona and began his counseling career, earning his graduate degree in School Counseling from Northern Arizona University. During this time he held positions providing child/ family counseling and crisis counseling. After 10 years of counseling work in the desert southwest, Troy moved back to Iowa after accepting the High School Counseling position at North Cedar High School in Stanwood, Iowa. In the summer of 2017, he transitioned to the new high school in North Liberty, Iowa, and is proud to be a Liberty Lightning Bolt. Personally, Troy lives in Eastern Iowa with his wife, Kelly, who is a school counselor at West High School in Iowa City, Iowa. We try our best not to discuss work too much at the dinner table, but sometimes it’s unavoidable. We have three children, all boys: Kaiser, Malachy, and Emerson. 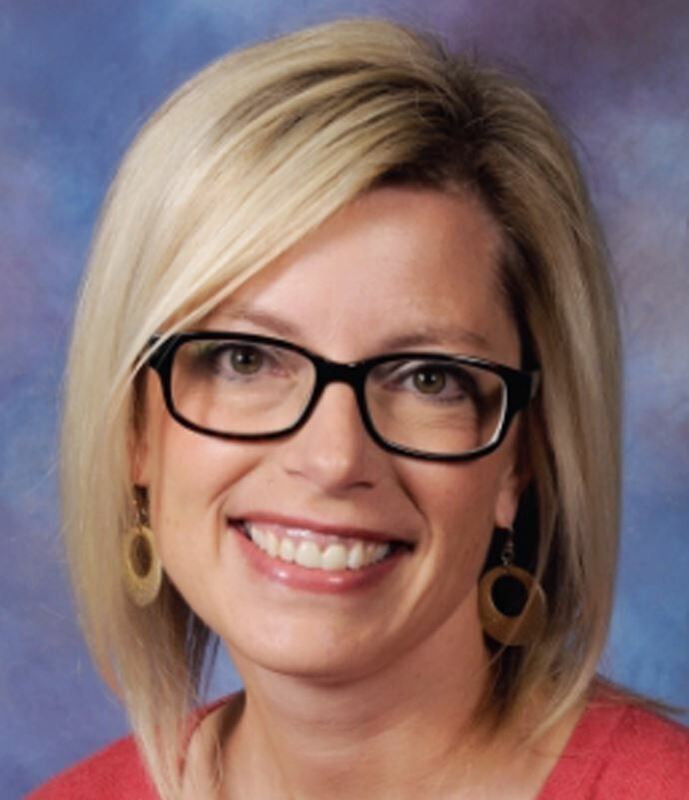 Kelli Johnson (Newsletter Chair) is her sixth year of school counseling as the K-2 Counselor at Starry Elementary in the Marion Independent School District. She attended the University of Dubuque for her undergraduate degree with a double major in psychology and criminal justice. and the University of Northern Iowa for her Masters in Counseling. Prior to her current position Kelli worked as the K-6 Counselor at Jacobson Elementary in the Belmond-Klemme Community School District. Kelli looks forward to collaborating with ISCA board members as well as with ASCA to provide relevant, helpful information for school counselors through the quarterly newsletter. Sarah Elm (School Counseling Student Chair) is in her second year of her master’s program at University of Northern Iowa in Cedar Falls where she has found her passion in leadership and advocacy for the school counseling profession. Throughout her studies she has enjoyed learning about the dynamic position a school counselor holds as well as learning as much as she can with like-minded individuals in her cohort. She is excited to connect with graduate students from across Iowa through this position. In her spare time, she enjoys traveling, spending time with friends and family, listening to podcasts, and finding local coffee shops. Sue Schirmer (AD-HOC - AEA) works for Heartland AEA and is the school counseling consultant, post-secondary lead and adult learning lead. Much of her time is devoted to professional learning for school counselors on a statewide scale, regional scale and local district work. She loves her job and believes it is a privilege to be able to work with so many talented and excited professionals!! She also teaches as an adjunct for Drake University. Brittania Morey (AD-HOC - ICAN and Communications/Marketing Chair) is the Director of Communications for ICAN where she spends her days creating programs to help students make informed decisions about life after high school, and assisting school counselors in their role in the Career and College process through resource development and professional development training opportunities. As an ICAN representative she works between the two organizations on various partnership programs including the counselor professional development webinar series and the School Counselor Resource Guide, and chairs the Communications/Marketing committee. Brittania holds a Bachelor's degree in Art and Journalism from the University of Northern Iowa and a Masters in Business Administration in Marketing from Marylhurst College, and has worked in education for nearly 15 years. In her free time she enjoys spending time with her family, movies, gardening, reading, cooking, attending concerts, and traveling to new and exciting places. 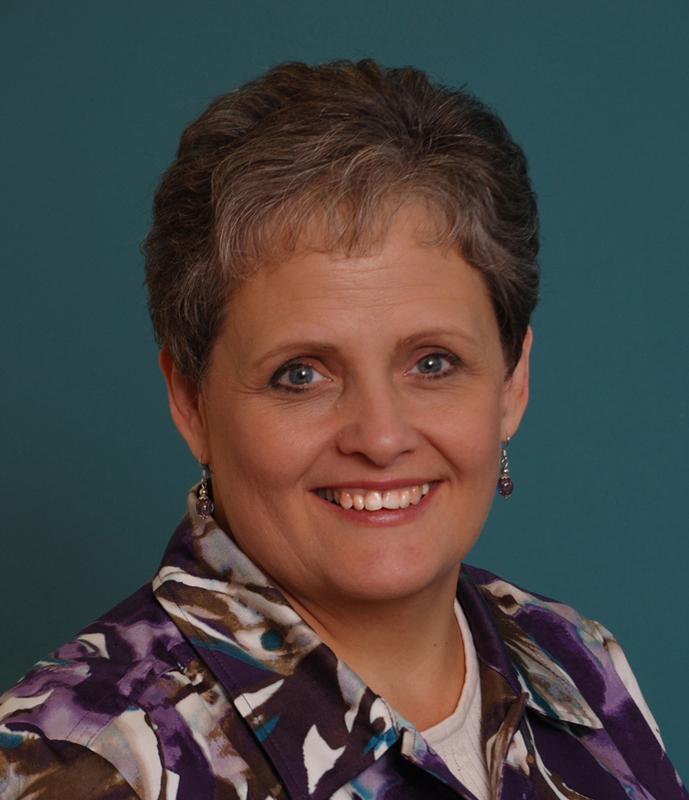 Cindy Swanson (AD-HOC - ISEA) is the Teaching and Learning Specialist for Iowa State Education Association (ISEA). She oversees professional learning for educators as they build capacity to support the Core and ensure safe and supportive learning environments for ALL students. Cindy oversees the ISEA Professional Learning Academy . Cindy’s education background spans 30 years. During the time she was Head of Professional Development for Mississippi Bend Area Education Agency (AEA 9), the American School Counselor Association (ASCA) recognized her leadership and coaching abilities with professional school counselors in 22 districts to successfully use data and accountability systems. She also worked as Head of AEA Autism Team and as a School Improvement Consultant. Cindy is a trainer in Fierce Conversations, Olweus Bullying Prevention, Second Step, Professional Learning Communities, PBIS, Owning UP, ASSETS (SEARCH Institute), and ELL: Culture, Equity & Language Training (NEA). She is on the state board for Iowa ASCD, Iowa School Counselor Association and NEA Content and Review Board. She holds degrees in Social Work (MSW) and in Education (MS) with an emphasis in Human Performance Improvement. Casey McMurray (AD-HOC - CCR) is a high school counselor at Bondurant-Farrar. Casey is in her 14th year as a school counselor and 18th in education. She received her B.A from Central College in Pella, Iowa with a major in Communications/Theatre and a minor in English. She began her career as an English/Speech teacher. Casey attended Drake for her Master's degree and received a M.S.E. in School Counseling. Her hobbies include college football (Go Hawks), college basketball and March Madness (Go Tarheels), traveling, reading, and spending time with my family.